What is Smart Syphon technology? reducers into the riser and by adjusting the head height. push of a button at the controller or via an app on a mobile phone. What is the fit of this technology into irrigated cotton? Smart Syphon enables farms currently set up for siphon irrigation to move toward automation of irrigation with minimal in-field changes. 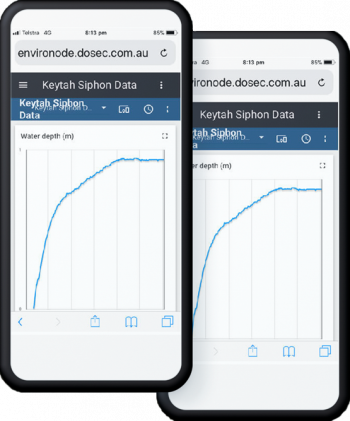 This technology will reduce the labour requirement to irrigate a siphon field, provide irrigation managers complete remote control and flexibility to match irrigation to crop requirements. What are the key considerations for adoption on a commercial basis? Prior to installation growers should review the design of the head ditch area. Pipe through the bank placement, choice of restrictors, channel head heights and roto-buck slopes should all be considered. 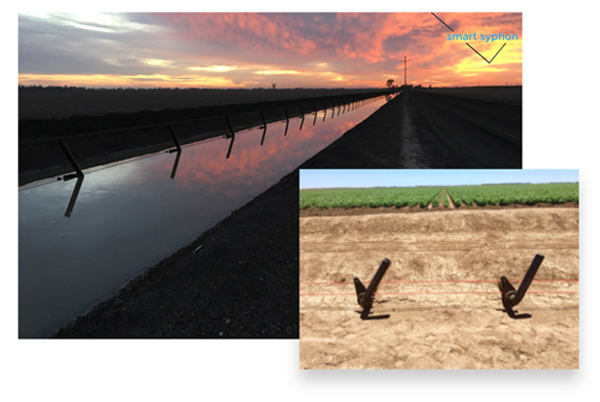 A well-designed plan will enable growers to more effectively match flow rates with soil infiltration and row length to optimise water application efficiency. Installation can be achieved in a number of ways, to date we have investigated pushing the pipes through the bank, using a chain trencher to cut a slot for the siphon and completely rebuilding the field side of the head ditch to accommodate the siphons. Each have different fits and costs associated with them. A key consideration is maintaining the pipes in a gang on a consistent elevation and angle to the operating water level. Accurate pipe installation is a corner stone element to reducing capital and operating costs.